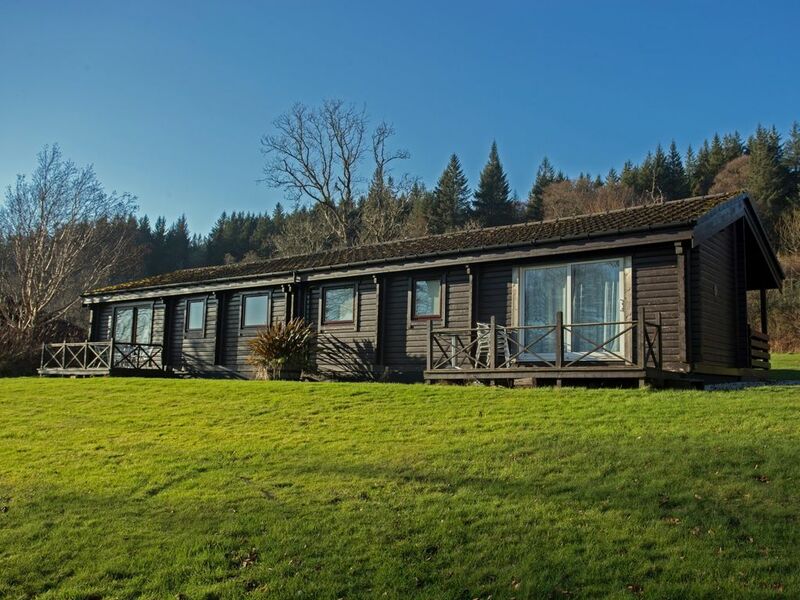 Set above 40 acres of beautifully landscaped gardens and woodland walks, our lodges offer glorious views across the Sound of Sleat to the hills of Knoydart on the mainland. Escape to the beauty and tranquility of the Isle of Skye, with the Estate at Armadale Castle providing a wonderful backdrop for your holiday. The 4 star lodges are equipped to the highest standard to ensure that your stay in Skye is a true home-from-home. The accommodation consists of an open-plan living room and dining kitchen, bathroom, double bedroom, twin-bedded room and a single/double bunkroom ideal for children. A cot and high chair can be provided if requested. The lodges come fully equipped with cooker, microwave, oven, fridge, freezer, dishwasher, washing machine, FreeSat television with built in DVD player and CD/radio player. Linen, towels and electricity are included in the price. During your stay, the freedom of the Museum and Gardens, is yours to explore when you show ticket office staff your accommodation key. Our lodges are available for rent throughout the year. Quality self-catering and Visit Scotland 4 Star accredited accommodation in the grounds of Armadale Castle, in tranquil south Skye. Our six cosy lodges are brilliant for families and groups and have fantastic views of the Sound of Sleat which are situated on the hillside above Armadale, opposite Knoydart. The lodges are welcoming and comfortable, they are equipped to the highest standard to ensure that your holiday at Armadale is a pleasant experience. The lodges consist of an open plan living & dining kitchen, with a patio door leading to your own veranda, a bathroom which consists either bath/ shower combinations or showers only. The lodges vary and sleep 4-6 people. Our two suites, located on the upper level of the restored Stables building, are perfect for those seeking elegance and historic charm. Suites have own balcony terrace with private entrance for guests. Each suite offers a spacious comfortable area to relax in, suites have kitchen and living room and have a double and twin room, each sleeps up to 4 people. There is a shower and bath and a separate room with toilet and sink. Bed linen, towels and electricity is included in the price, so there are no hidden extras. All accommodation are dog friendly with exception of Clanranald Lodge, a max of 2 dogs per accommodation with a fee of £20 per stay per dog. The Armadale estate was once part of the traditional lands of Clan Donald and the family seat of the Macdonalds of Sleat. At its heart is Armadale Castle, now a romantic ruin, which sits in a dramatic position overlooking the Sound of Sleat. The Castle is surrounded by 40 acres of magnificent gardens, with exotic planting, magnificent trees and charming walks. Also on the estate is the award-winning Museum of the Isles, which tells the story of the Highlands & Islands and Clan Donald. The estate is now run by a charitable trust dedicated to promoting the history and traditions of the clan and the Highlands & Islands. Accommodation guests have unlimited free entry to the Castle, Gardens and Museum during normal opening hours. Known as ‘the Garden of Skye’, the Sleat peninsula is home to some of Skye’s most beautiful scenery. From stunning walks to whisky tasting, boat trips to hidden beaches, craft studios to fishing and sailing, this very special area really does have something for everyone. Armadale Castle is in a tranquil location but conveniently situated 10 minutes’ walk from the ferry terminal at Armadale (ferries to Mallaig on the mainland). Community shop, garage and craft shops within walking distance.